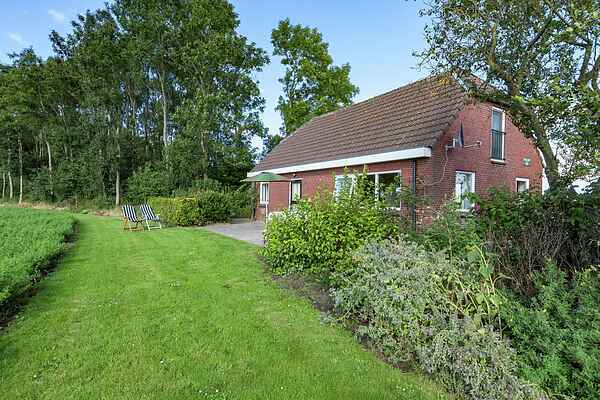 This detached holiday-home (115 m2) is situated very rural and on a unique location: just outside of the dikes and amongst polders and in the lee of a small wood at the "Dollard"-dike. It is ideal for those who enjoy the quiet, space, promenades, cycling and fishing. In the neighbourhood are a birdwatching area(4 km), the fish-harbour of Termunten (7 km), a fortress-museum and thermal baths at Nieuweschans (12 km).